I have been trying to post a new article each day for National Blog Posting Month but I have failed this weekend. I was attending conference for the Lincolnshire Wildlife Trust regarding the conservation of forests. Did you know that this week is national indoor allergy awareness week? Do you feel like you have cold symptoms all year round? You might be suffering from non allergic rhinitis. Allergic rhinitis is hay fever but if you have hay fever symptoms all year round then you may be interesting in what I have written. Non-allergic rhinitis is also called vasomotor rhinitis and is where blood vessels in the nose are over-sensitive; certain environmental triggers, such as cold weather or smoke, cause them to expand, causing congestion. The inflammation and swelling is usually the result of swollen blood vessels and an accumulation of fluid in the tissues of the nose. Allergic rhinitis and asthma are closely linked. Studies have found that up to 80% of asthma patients also had allergic rhinitis, which for some caused an increase in their asthma symptoms. Avoid allergens as much as possible once you are aware what is causing your allergy. Eat a healthy, balanced diet to support your immune system. Foods high in omega 6 are grains, hence sunflower oil is, as is bread, corn fed meats etc. Vacuum carpets and dust regularly with a damp cloth, use aerosol sprays in a room away from you with the door closed as these airborne chemicals will aggravate the condition. Wash clothing and hair regularly because pollen, smoke, chemicals and other allergens can stick to them. Change bed sheets regularly and cover mattresses with mattress protectors. Keep your home well-humidified – did you know that air pollution is at least 10 times greater indoors than it is outdoors? This is due to the use of chemical cleaners, air fresheners, plastics which release toxins into the air and many other factors which are then concentrated as there is minimal air circulation throughout the house. Open windows regularly to allow fresh air in. If you have pets it may be worth keeping them out of the bedroom for a month to see if this improves your symptoms. Having house plants which help to detoxify the air from several chemicals and pollutants. 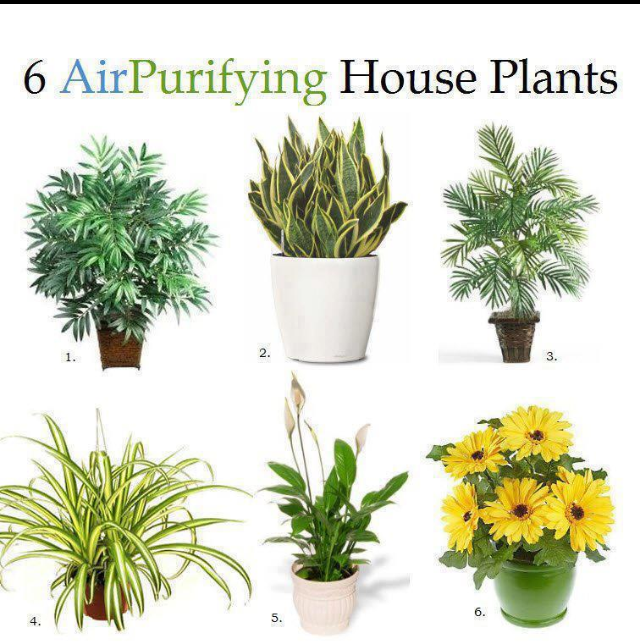 Air purifying plants can reduce the levels of dir pollution indoors which can be up to ten times greater than outdoors!! This entry was posted in advice, coughs, Environment, Grimsby, health, Health and Wellbeing, how to, national blog posting month, wellbeing by Herbs for Health and Wellbeing. Bookmark the permalink. It is truly a great and helpful piece of info. I’m satisfied that you just shared this helpful information with us. continue your great work, have a nice weekend! am getting knowledge everyday by reading such fastidious articles.